CHALLENGE Create and share a strategic roadmap to aid communication within the agency, facilitate planning of information technology (IT) projects across all state departments, and enhance government transparency. 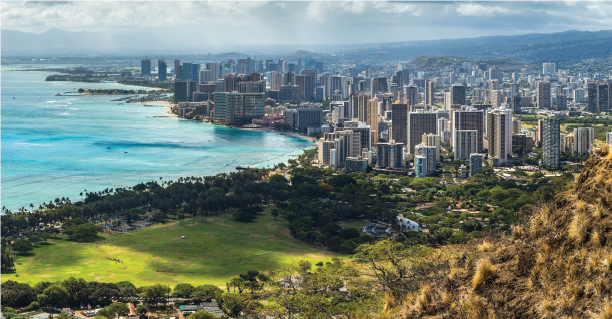 In 2016, with Chief Information Officer Todd Nacapuy at the helm, the Hawaii Office of Enterprise Technology Services (ETS) was looking for an effective and efficient way to communicate its priorities and where it was headed. “We looked hard,” said Nacapuy. 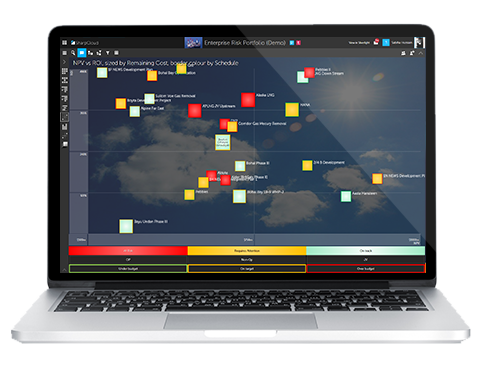 “There’s really no other tool we could find in this space that met our needs.” SharpCloud allows ETS to communicate within the agency as well as support IT governance efforts across all departments. It also enables communication between ETS and the state’s constituents and vendors, which is critical for agencies in the public sector. The Department Dashboard tool was built using SharpCloud and rolled out by two young employees within the Office of Enterprise Technology Services who had been with the state for less than a year, Nacapuy said. No outside contractors were used. How is SharpCloud solving the problem? ETS is charged with leveraging technology to advance initiatives that increase efficiency, decrease waste, and enhance transparency and accountability within state government. SharpCloud is helping them do just that within their own agency, and this is serving as a model for other divisions of state government. Nacapuy said that SharpCloud enables two-way communication between his upper management and technical workers. The enhanced communication is enabling his staff to make quicker and more informed decisions. They also use it as a resource management tool. “It changes the way that we run government,” said Nacapuy. SharpCloud allows ETS to leverage the tools and programs they were already using. They can integrate across multiple platforms seamlessly. SharpCloud provides flexibility with its open application program interface (API). ETS was able to start using the program without re-entering a lot of data. In the coming year, ETS is anticipating a ten percent reduction in its operations and maintenance budget to be achieved through increased cost-efficiency. This translates into $3 million for ETS alone and, if implemented statewide, potentially $20-30 million overall. By using SharpCloud, Nacapuy and his staff can easily assess their programs and identify redundancy. “SharpCloud, being that visualization tool, will get us there,” he said. ETS has a preliminary version of the statewide IT Strategic Roadmap available to the public on its website. It shares details of ETS Priorities and Initiatives and specifies what has been accomplished for each. SharpCloud allows an incredible amount of depth and detail. This lets ETS clearly show how each of their activities aligns with specific state statutes and the governor’s goals. It is already a robust roadmap, but Nacapuy says it is only a part of what will soon be completed. ETS is working with IT personnel across the state enterprise to develop similar departmental IT roadmaps using SharpCloud. “In December it will go all the way down to department and individual levels,” he said. This initiative will help Nacapuy accomplish one of his biggest tasks—curtailing government waste. At the end of the year, there are often leftover monies. This is common in state government, and usually agencies scramble to spend, oftentimes inefficiently. Nacapuy is of the mind that, unless it is in the roadmap, this money should go back to the state’s General Fund. “It showed many people the efficiency we can gain in government from using SharpCloud,” said Nacapuy. He also said that SharpCloud helps ETS share their upcoming projects with the state Legislature. He can demonstrate the planning and thought that has been given to each undertaking. There are no surprises. It has reframed the conversations they are having. According to Nacapuy, using a tool like SharpCloud for planning allows for better continuity between administrations. When a new governor is elected, it is possible that state government agency leaders will change. A strategic roadmap created with SharpCloud provides a clear picture of what projects and initiatives are underway and what progress has been made on each one. It is another way to enhance government transparency. Nacapuy has embraced SharpCloud as a tool for strengthening transparency and accountability in his agency. This fits directly into one of Hawaii Governor David Ige’s core values – Kuleana, which is the Hawaiian word for Responsibility. SharpCloud US provide the software, technical support, professional services and systems integration for customers at the US Federal Government and North American companies. In addition to SharpCloud SaaS, SharpCloud can be provided On-Premises or as a private cloud installation. SharpCloud US are GSA approved and manage SharpCloud for Federal Government from the US Amazon GovCloud.